The 6470-21, 10-1/4″ Circular Saw is built with the power and capacity to handle the most extreme cutting applications. The powerful 15 Amp, 5,200 RPM Motor delivers maximum power for high performance cutting without bogging down under load. An Aircraft Aluminum Shoe will not bend or warp in extreme cutting applications. The Electric Break increases productivity by stopping the blade in seconds. 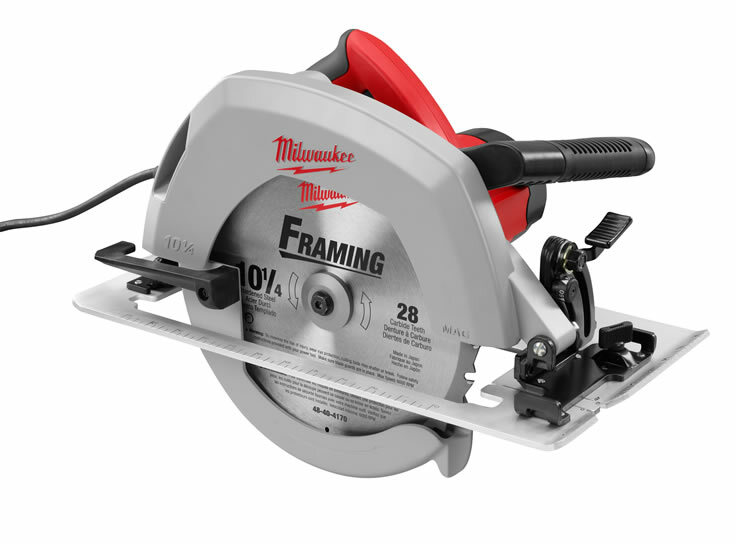 These heavy duty features combined with the 3-13/16″ depth of cut capacity and 60° bevel capacity make the 6470-21 the most popular 10-1/4″ Circular Saw in the industry.